Hollis Watkins is the Co-founder and President of Southern Echo, Inc., a leadership development, education, training, and technical assistance organization dedicated to empowering local residents throughout Mississippi and the Southern region to make political, economic, educational, and environmental systems accountable to the needs and interests of the African-American community. The twelfth child born to sharecroppers in Lincoln County, Mississippi, Hollis has spent a lifetime in pursuit of racial justice in his home state. He was nineteen when he became the first Mississippi student to join the Student Non-violent Coordinating Committee (SNCC) as a voting rights organizer. Almost immediately, he learned of the danger to those who resist entrenched and unprincipled power. During the years that he worked as an organizer for SNCC, he was repeatedly arrested and jailed. Later he served as the director of the Organic and Sustainable Agriculture Program of the Mississippi Association of Cooperatives before founding Southern Echo in 1990. Hollis is a powerful force in the efforts to carry on the unfinished business of the civil rights movement. For the past decade, Southern Echo has organized and supported local redistricting efforts aimed at more effective black political representation, carried out voter education and registration, and monitored election practices. Southern Echo has also resisted efforts to change the Mississippi constitution to roll back the progress that has been made toward genuine democracy. Hollis was the lead plaintiff in a federal lawsuit challenging Mississippi’s districting. Hollis also addresses critical local issues. Southern Echo has enabled communities to create environmental safety zones that will protect communities from harmful land use. Successful community organizing has blocked the placement of toxic waste facilities and stopped agricultural practices with adverse public health consequences in black communities. Southern Echo also works with community leaders to develop an African-American education agenda and to play an effective role in shaping public policy on education in Mississippi. Hollis played a pivotal role in the establishment of such innovative educational programs as the Indianola Math Games League. Hollis has also played a role in keeping the music of the civil rights movement alive. Having been sustained by music when he was hanging from handcuffs in a cell in Parchman prison in the 60’s, Hollis includes the musical traditions of the civil rights movement into the struggle of today, making it part of his organizing and bringing its message to a new generation of activists. Hollis is the proud father of eight children who, with his many grandchildren, live in the Southeast and Alaska. 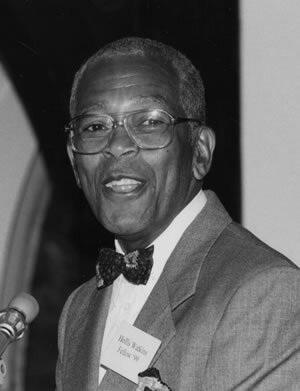 The Petra Foundation recognizes and honors Hollis Watkins’ contribution to the struggle for racial and economic justice in Mississippi, and his lifelong dedication to securing that struggle’s future leadership.